ST. GEORGE – Seven Southern Utah teams competed for the first time in the Utah “First Tech Challenge Robotics Competition,” and two local teams are advancing to the regional competition. The First Tech Challenge challenges students ages 13-18 to design and build robots to play in floor game, form alliances with other teams and creatively solve problems. 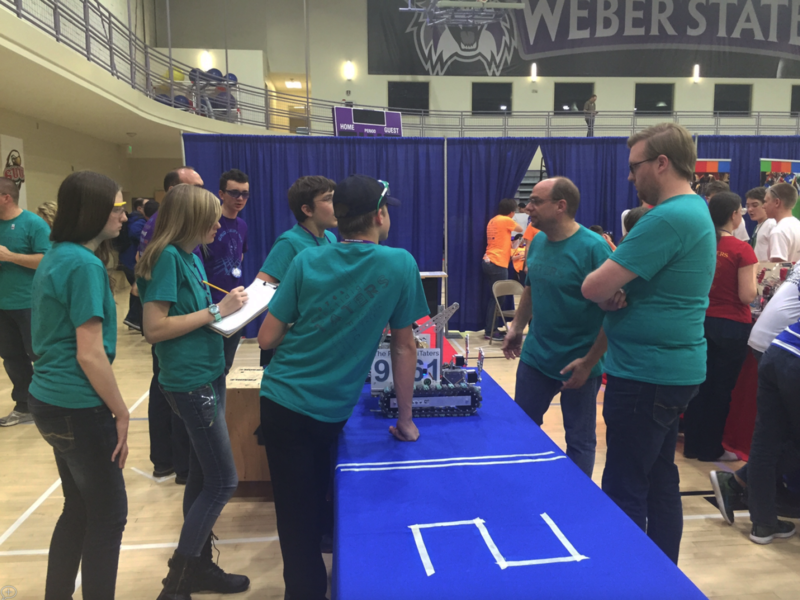 The Utah competition was held at Weber State University Feb. 20 and included teams from Montana and Idaho as well as Utah. The PrestidigiTaters, sponsored by Washington County 4-H Club, earned the top Inspire Award and will continue on to the regional competition along with the Hurricane High Robotics, who won the Robot Game with the help of an allied team. The PrestidigiTaters consist of two girls and two boys; Coach Brian Allen’s two daughters are on the team, along with Dixie State University professor Curtis Larsen, who coached his son and nephew. “It was a great experience and a good way for a dad to spend time with his teenage daughters,” Allen said. Allen and his daughters are heavily involved in science and technology. Each team starts with the same robotic pieces and from there, teams can approach the project any way they wish. Finished robots must fit within an 18-inch cube but can expand after the match starts. 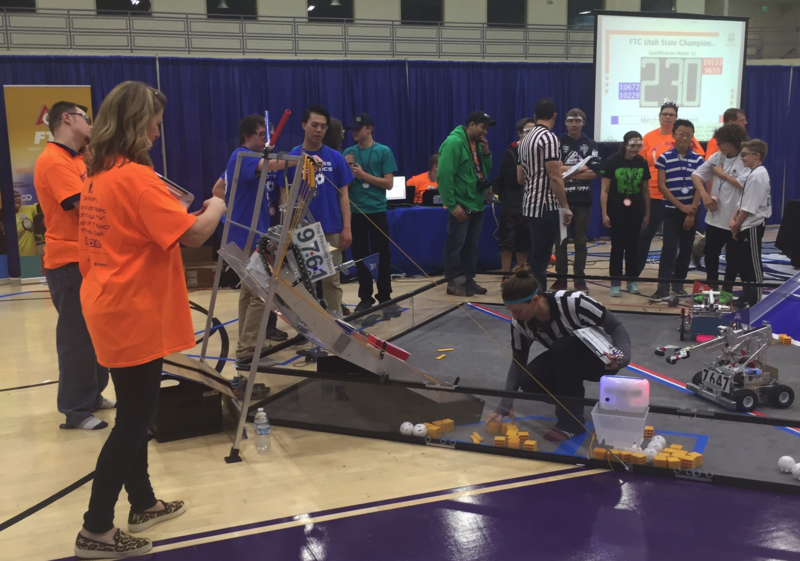 The PrestidigiTaters disassembled a tape measure and used it as a winch cable to lift the robot up a 3-foot obstacle. Using a winch was a common strategy this year in the competition, Allen said. “This year there were mountains that you had to climb and blocks involved that you put into specific bins to score points,” Allen said. First stands for “For Inspiration and Recognition in Science and Technology” and this was the first year that Southern Utah teams participated in the Utah First Tech Challenge. 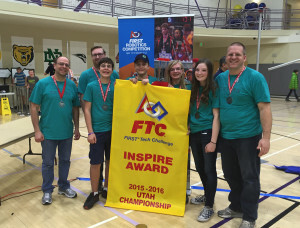 The challenge has been held for five years, Allen said, and this is the first year that a Utah team – the PrestidigiTaters – won the highest honor, the Inspire Award. PrestidigiTaters and Hurricane High Robotics will continue on to the Super Regionals in Oakland, California, March 24-26. The event will include 72 teams from 13 Western states. All seven Southern Utah teams competed as rookies, Laurel Dodgion said. Dodgion is the Southern Utah University First Tech Challenge Coordinator. Hurricane and their alliance partners won the Robot Game after hours of qualifying rounds, she said. After Hurricane was named as one of the four highest scoring teams in the qualifying rounds, they selected Atomic Randomizers and Randomonium, both from Iron County 4-H, to assist them in the elimination rounds. The alliance worked together on the most complex challenges and ultimately came out on top; all three teams received Winning Alliance trophies, Dodgion said. Randomonium earned the Rockwell Collins Innovate Award which celebrates a team that not only thinks outside the box but also has the ingenuity and inventiveness to make their designs come to life. The Security Administration team from Canyon View High School received the PTC Design Award, Dodgion said, which recognizes design elements that are both functional and aesthetic. 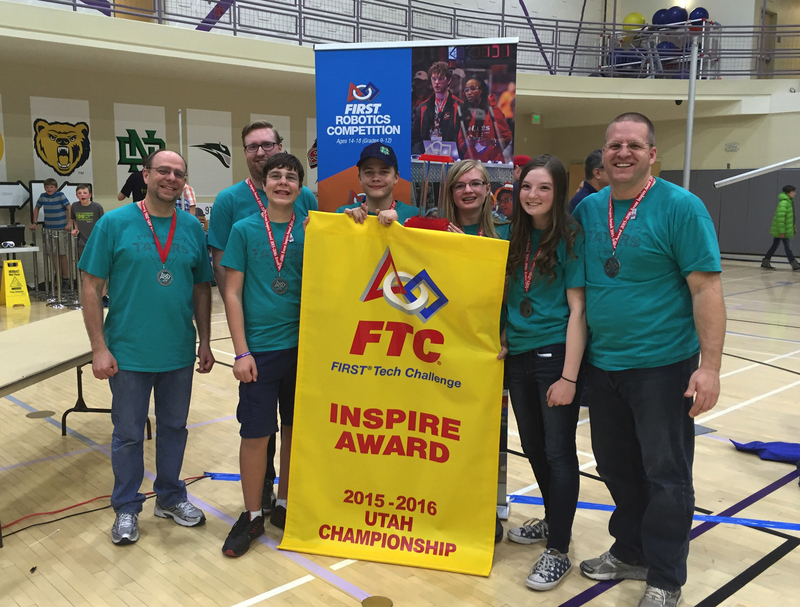 Rounding out the teams from Southern Utah were Dixie Success and Cedar High Robo-Reds. Success was selected as an alliance team in the elimination rounds and Robo-Reds placed in the mid-range of the competition. 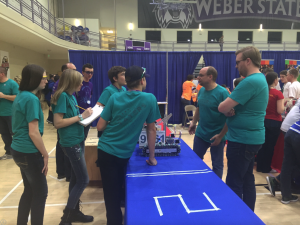 The winning teams advancing to the super regionals will be sponsored by the Southern Utah University Center for Stem Teaching and Learning, the Walter Maxwell Gibson College of Science and Engineering and the SUU Department of Engineering and Technology, Dodgion said. 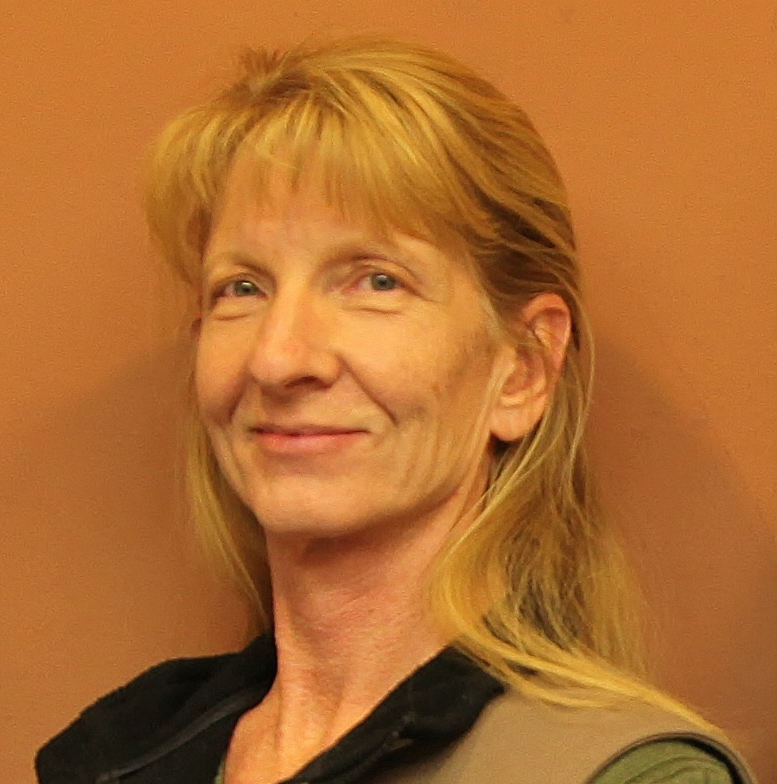 Julie Applegate is a long-time resident and fan of Southern Utah. She brings a strong background in news writing and editing, formerly as a full-time member of the St. George News team and currently as a contributor. Julie spent several years in the software industry. She believes strongly in the role of responsible news media in society, especially at the local level. In her spare time, Julie can be found exploring Southern Utah on foot and by four-wheel drive or spending time with her family.